The Refectory is one of Hyde Park’s favorite lunch spots—just ask Yelp reviewers, who consistently give it five stars. Under Director of Dining Services Lena Washington, the Refectory team is committed to using fresh, local ingredients for its made-from-scratch entrees, salads and soups, burgers and sandwiches. Breakfast is served, too. All food is reasonably priced. 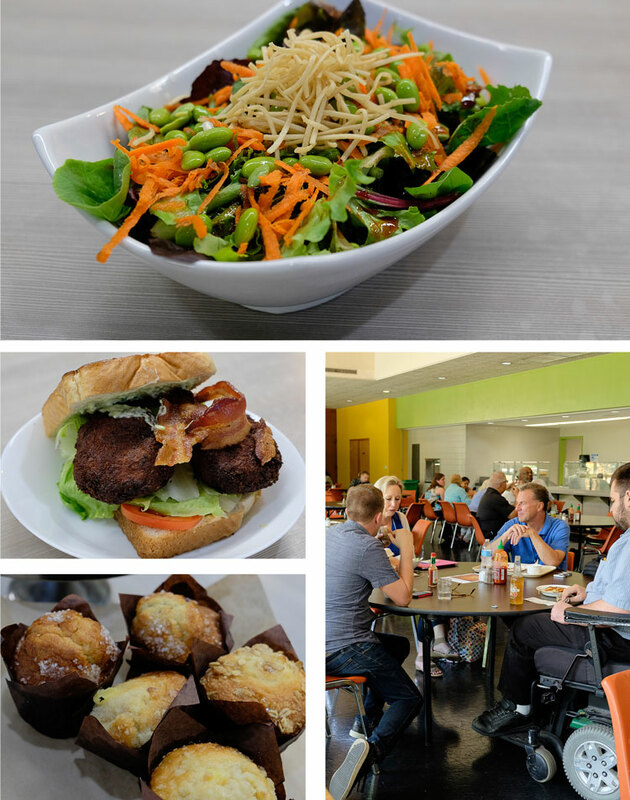 The Sola Café, featuring local Bridgeport coffee and tempting treats, is housed in the Refectory. Yeah, we go through plenty of coffee here. Not because we’re a Lutheran seminary, but because we love good coffee—and being together. Check us out on Facebook and Yelp.